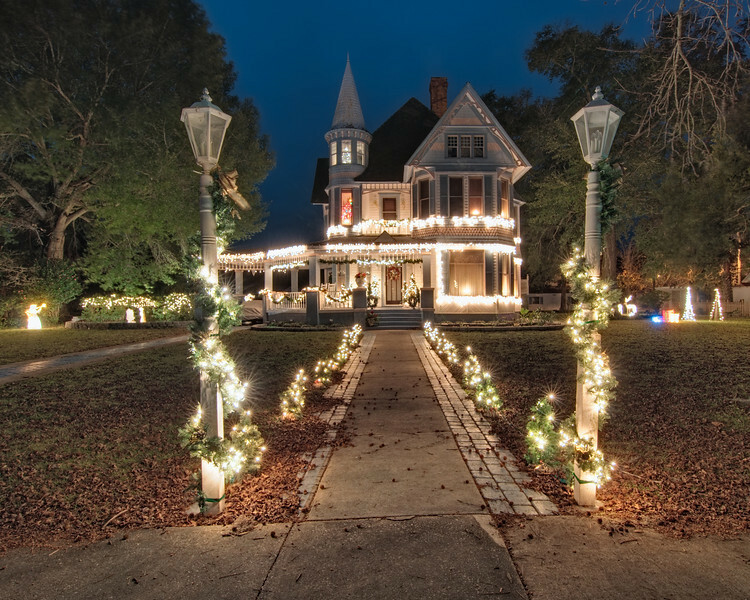 There were so many charming Victorian-era homes along Circle Drive in DeFuniak Springs, FL-- truly an amazing collection of architectural history. The three-story wood mansion with its double cupolas featured here was a personal favorite. Shot Notes: Enfused from 7 exposures via LR/Enfuse plugin. Amazed at how well Enfuse handled the bright Christmas lights here, I will definitely use Enfuse for night work again.